Toyota will officially debut the Supra at the North American International Auto Show in Detroit, but there might be nothing left to discuss at that point. According to new information via SupraMKV, the price of the new Supra will start at $49,990 for the base model. The next trim level up is called Premium, and it will have a price starting at $53,990. The trim level after that is the Launch Edition. It will start at $55,250. Of course, all of these prices have not been confirmed by Toyota, so there’s a chance that they could be incorrect. SupraMKV also leaked a couple new images of the whole car in all its sporty glory. All of the trim levels have a 3.0-liter six-cylinder engine. The Launch Edition is the pre-order version of the car, according to Jalopnik. The site says the model is based on the Premium version of the car with a few additional aesthetic changes. The starting price of the Supra sounds very reasonable when you look around the industry at other sporty coupes. If the prices are correct, we could see most potential buyers being pleased with it. While it’s nice to keep getting all of these leaks on the Supra, I almost wish people would be able to keep some of it to themselves. There won’t be much for Toyota to reveal in Detroit. 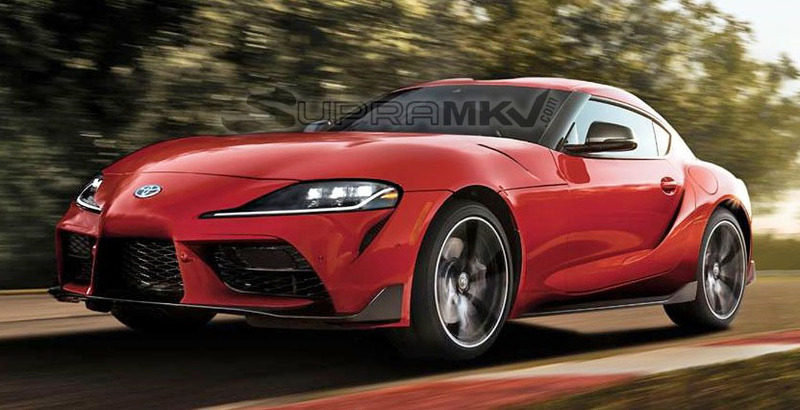 With that said, I’m going to keep reporting on the leaks because, well, the Supra is awesome, and I want to know more about it. I’m looking forward to the official reveal.